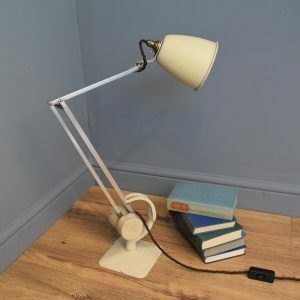 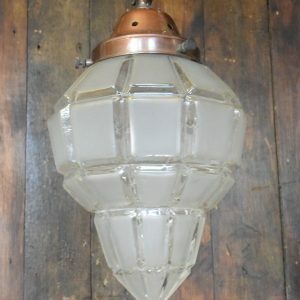 A totally unique lamp designed by Ashby Aero. 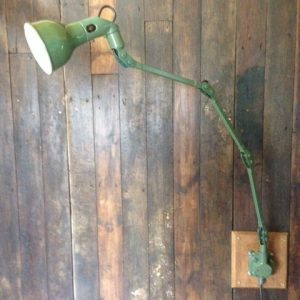 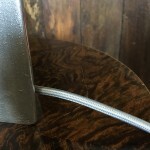 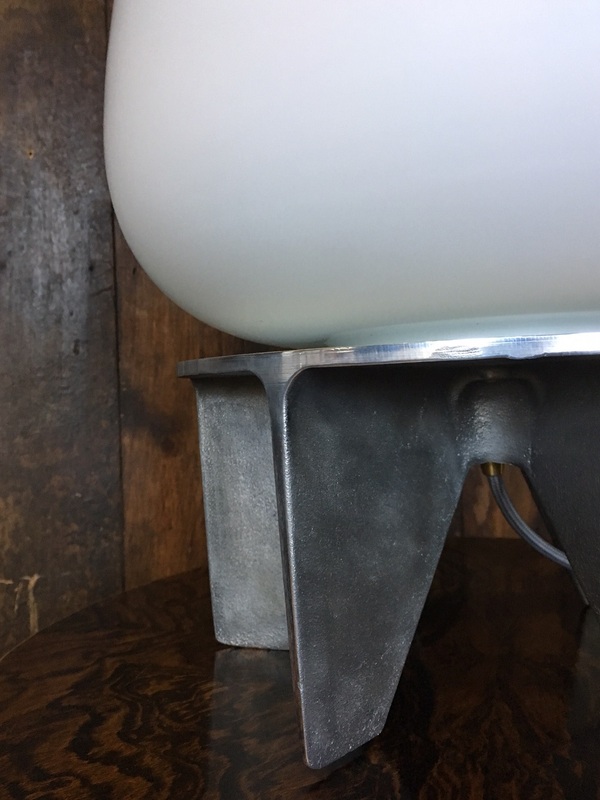 The base of this lamp is made from an aluminium salvaged Radial Impeller. 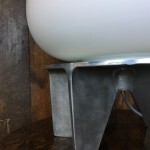 The outer edges have been polished to contrast nicely with the flat surfaces. 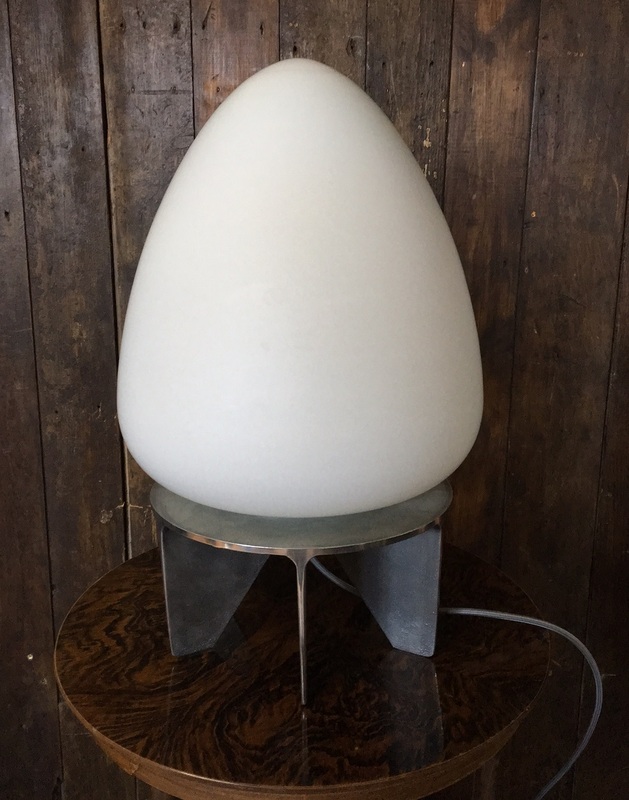 A contemporary and eye catching lamp. 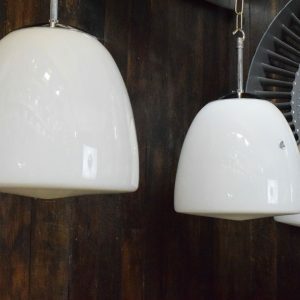 The simple design and large size creates a space age and futuristic feel. 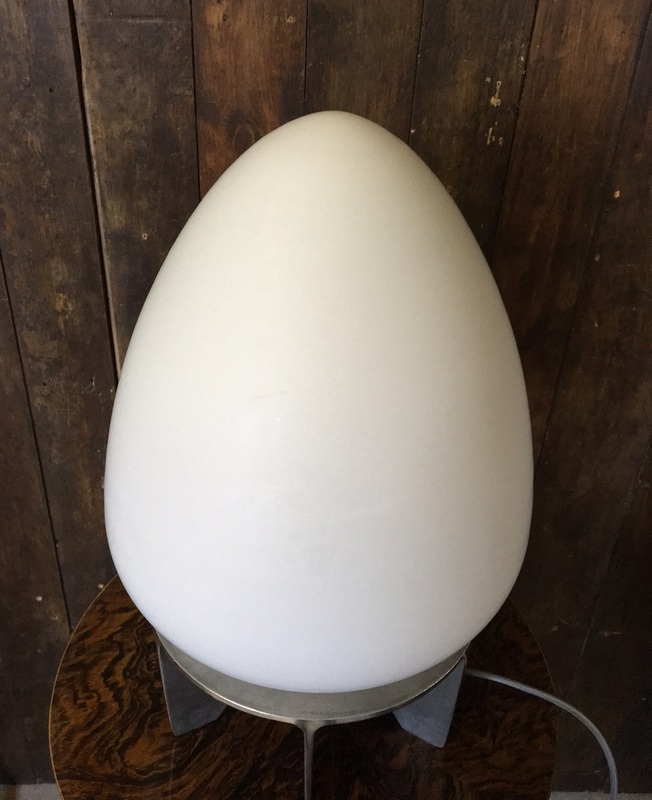 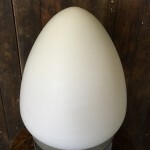 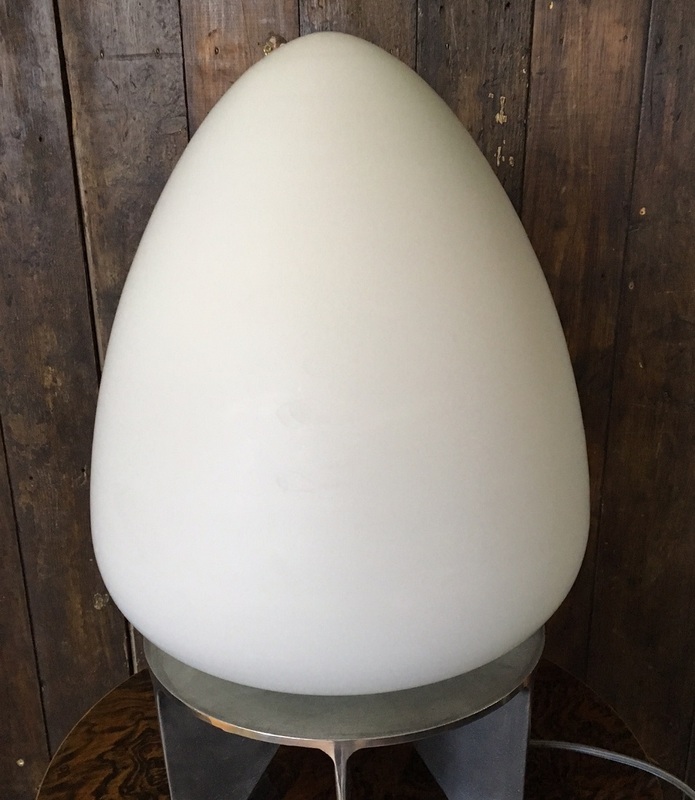 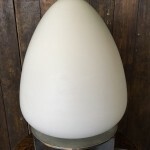 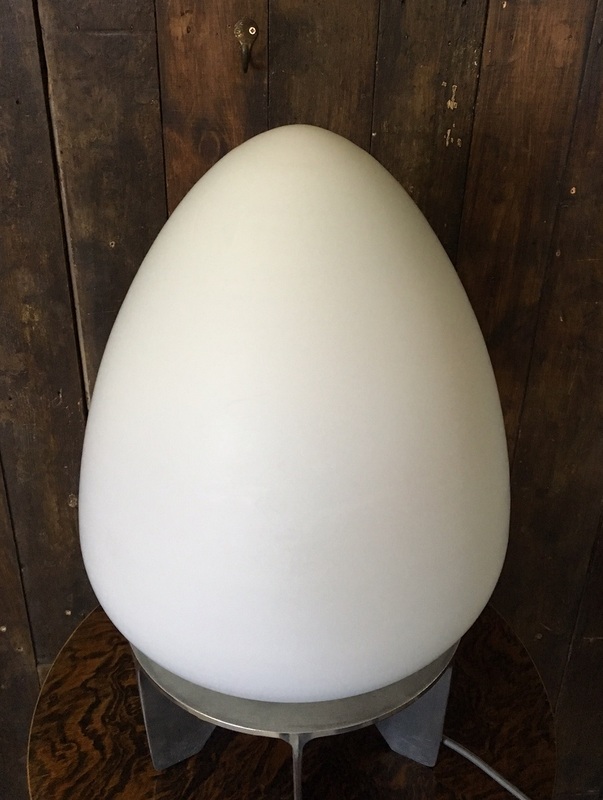 The large egg shaped shade is white satin glass made by the renowned lighting manufacturer Christopher Wray which emits a relaxing and gentle glow when lit. 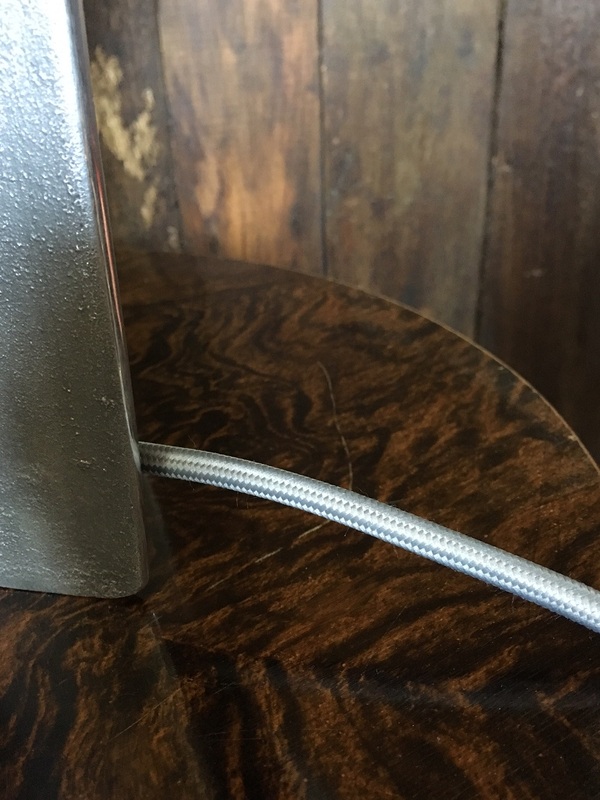 Rewired with a B22 Bayonet fitting and approximately two metres of silver grey fabric covered flex. 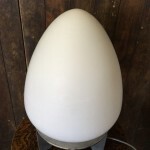 Independently PAT tested.